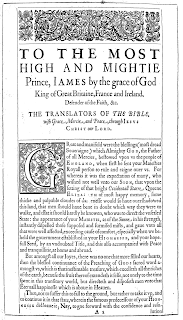 The recently reprinted 1911 Oxford ‘facsimile’ of the 1611 King James Bible contains a major anachronism: the types are resolutely ‘Modern’ in style, that is they derive from designs that were developed at the end of the eighteenth and early nineteenth century, and bear no relation to the styles used in the original edition. 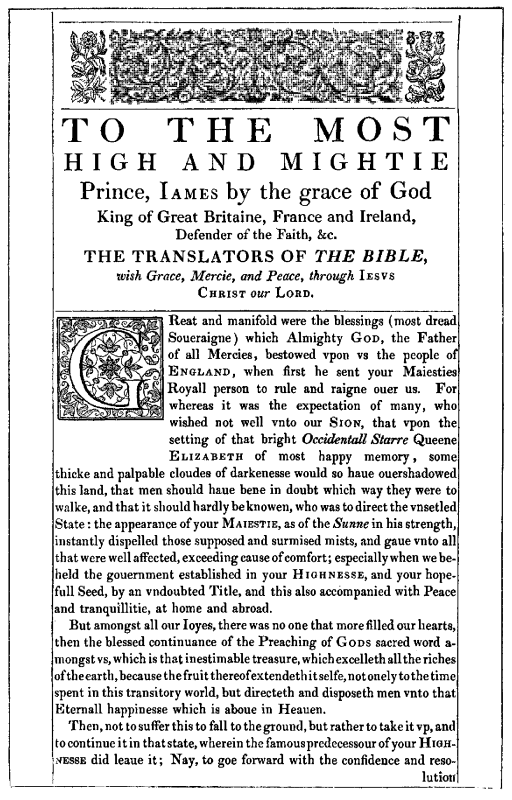 The illustration shows the original 1611 setting of the Preface, and the 1911 resetting. The problem is that the 1911 edition is not a simple reprint; if it had been, a photographic reproduction of the original pages would have sufficed. 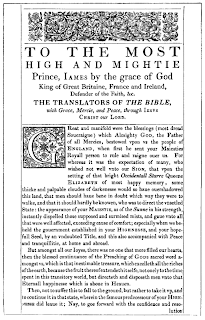 It was intended to be read as well as admired, so the black-letter type of the original, deemed unreadable, had to be abandoned, and rendered in roman type. 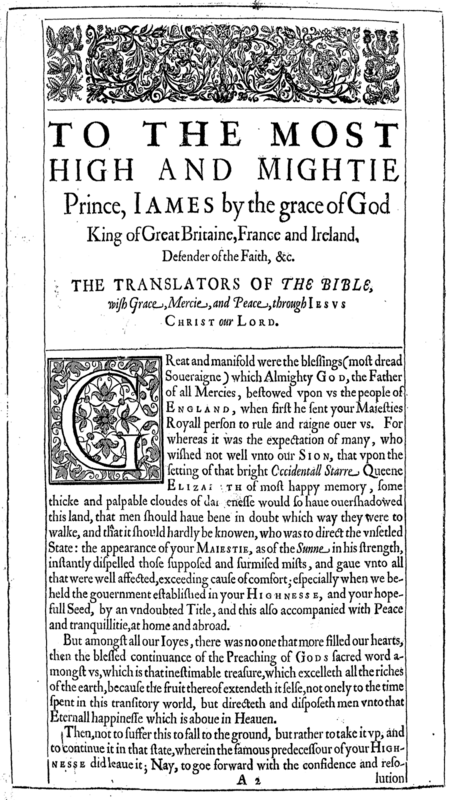 And while Caslon was available for some headings, a Modern with a Scotch flavour was used for most of the setting. Some pages (the fiendishly difficult to re-set Kalendar, for example) were reproduced from line blocks.